PLEASE READ THESE TERMS AND CONDITIONS CAREFULLY BEFORE USING OUR SITE, THE EXCHANGE, OR ANY OTHER SERVICES AND REVIEW THEM PERIODICALLY AND REGULARLY FOR CHANGES. BY REGISTERING FOR, USING OR ACCESSING THE EXCHANGE OR ANY PART THEREOF, YOU AGREE TO BE BOUND BY THESE TERMS AND CONDITIONS AND AGREE THAT SUCH TERMS AND CONDITIONS CONSTITUTES A LEGALLY BINDING AGREEMENT BETWEEN YOU AND US. IF YOU DO NOT AGREE TO BE FULLY BOUND BY ALL OR ANY OF THE TERMS OF THESE TERMS AND CONDITIONS, YOU MUST NOT MAKE ANY USE OF THE EXCHANGE OR OUR SITES. “Crypto Asset(s)” means a virtual commodity, digital asset or a blockchain token (including but not limited to Bitcoin (BTC), Ether (ETH), Litecoin (LTC) and other cryptocurrencies and tokens the Exchange will make available and any other virtual commodities, digital assets or blockchain tokens that ExCraft will decide at its sole discretion to support in the future, which is based on the cryptographic protocol of a computer network that may be (i) centralized or decentralized, (ii) based on proprietary or open-source software. “ExCraft Crypto Wallet” means one or more digital wallets that allow users to store certain supported Crypto Assets in their Accounts, and to track, transfer and manage their supported Crypto Assets. “Fork” means when two or more blocks having the same block height, forking the block chain. Typically occurs when two or more miners find blocks at nearly the same time. 2.4 Your ExCraft Crypto Wallet allows you to send Crypto Assets that We support to, and request, receive, and store supported Crypto Asset from third parties pursuant to instructions you provide through the Site (each such transaction is a "Crypto Asset Transaction"). ExCraft reserves the right to refuse to process or to cancel any pending Crypto Asset Transaction: (1) as required by law; or (2) in response to a subpoena, court order, or other binding government order; or (3) to enforce transaction limits. ExCraft cannot reverse a Crypto Asset Transaction which has been broadcast to a Crypto Asset network and shall not be responsible for Crypto Asset Transaction sent to incorrect third-party addresses. It is the sole responsibility of every User to check whether any third-party address is correct. 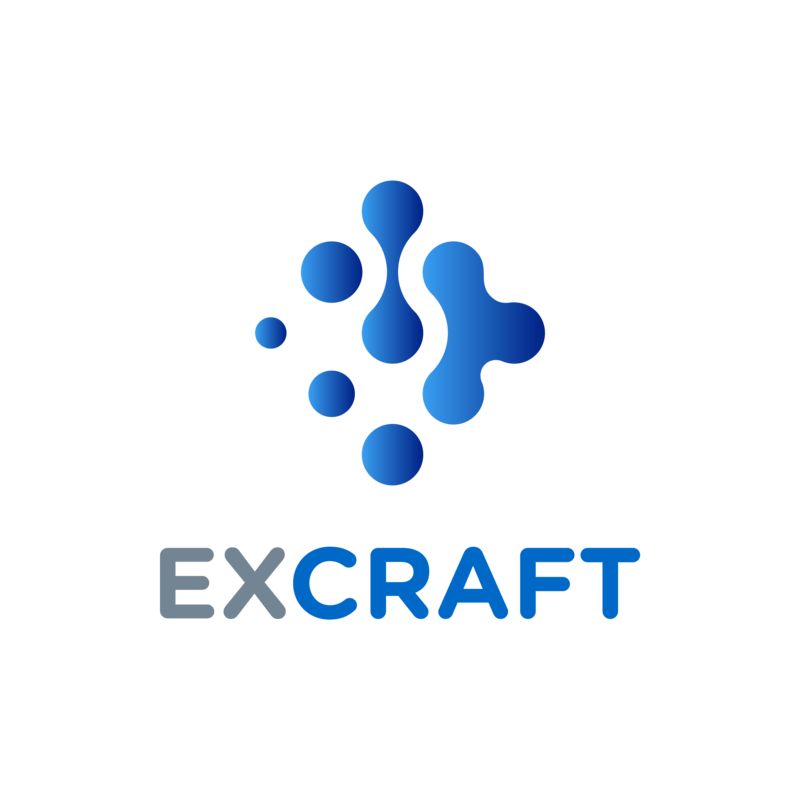 The ExCraft Crypto Wallet services are available only in connection with those Crypto Assets that ExCraft, in its sole discretion, decides to support. The Crypto Assets that ExCraft supports may change from time to time. Under no circumstances should you attempt to use your ExCraft Crypto Wallet to store, send, request, or receive digital currencies in any form that are not supported by ExCraft. ExCraft assumes no responsibility or liability in connection with any attempt to use ExCraft Services for Crypto Assets that ExCraft does not support. For the list of supported Crypto Assets please consult the following guide at www.excraft.com.